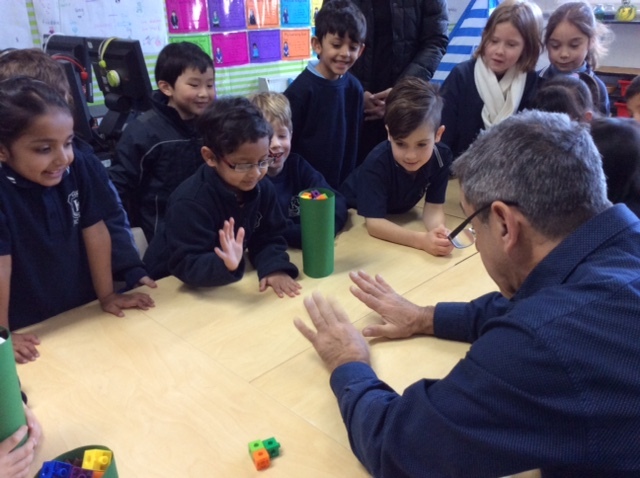 Michael Ymer brought humourous stories to our Maths, along with magic tricks and big words such as STATISTICIAN and PROFESSOR. 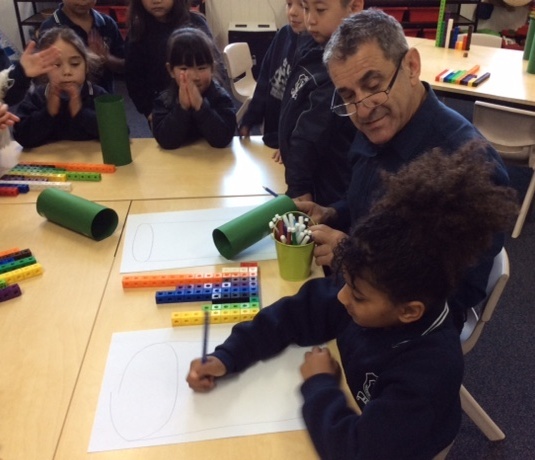 Prep PAP were the lucky participants of a session of Maths learning with Michael Ymer. 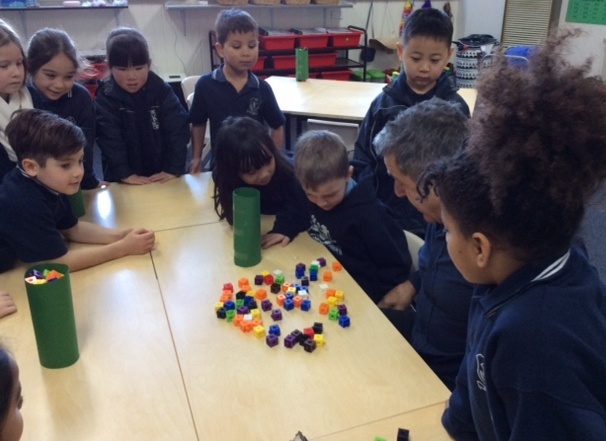 The class was completely engaged with Michael’s stories and use of hands-on materials. The students were supported, stimulated and challenged through the use of engaging materials and collaboration. Michael’s teaching focused on data collection, data recording, counting with 1-1 correspondence and number writing. Students learnt the basics of simple division by sharing quantities fairly. 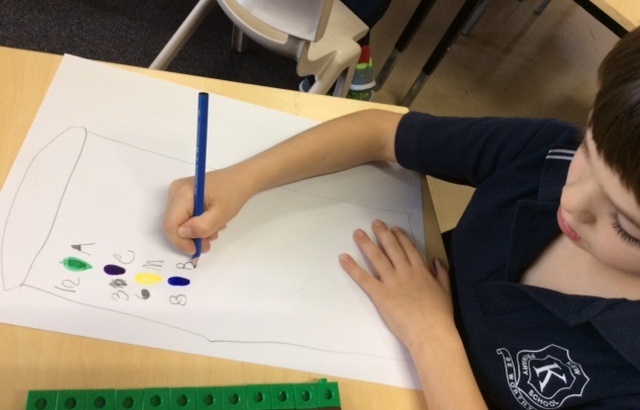 Through an engaging lolly jar story students also learnt basic measurement skills and measurement understandings. As usual, a visit from Michael Ymer ignited the passion, joy and enthusiasm for Maths in the teachers and the students. The Magic of Maths is certain to continue at KPS! Freddie – I liked making the cylinder and tipping out all the lollies. Maisha – I liked the story about the lollies. He grabbed the lollies from the top of the fridge and ate some. It was funny! Milla – I liked Michael doing the magic tricks. It was really cool! Chris – I liked putting the lollies in the cylinder. I pulled the cylinder up and put my hands around and the lollies went EVERYWHERE!! I liked drawing and counting the lollies. This entry was posted in Learning, Students and tagged incursion, maths, Prep by Kate W. Bookmark the permalink.